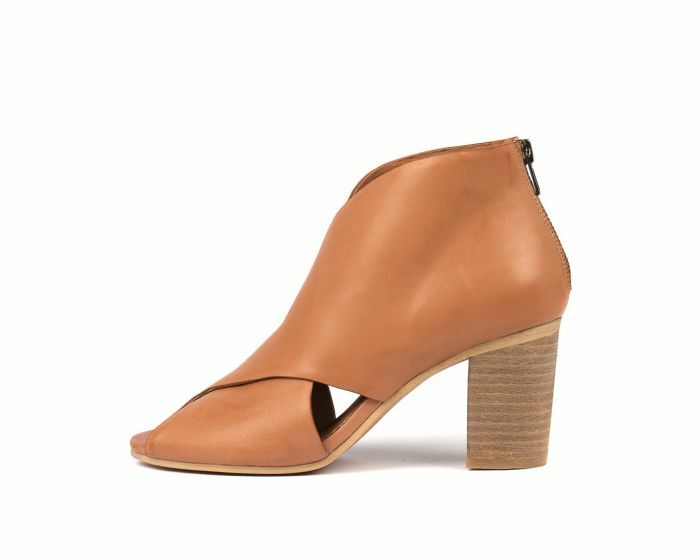 This stylish shoe will become your go-to pair in no time! Keep on trend with the fashion-forward VAUX heeled sandal by Django and Juliette, which features soft leather crossed straps, which lead to an open toe design for an ultra-feminine look. Perfect for dressing up any casual look, this heel will take you from day to night.